As a high school principal, one of the things I dislike to hear from parents is when they tell me they don't know what their child is doing in the classroom. While we have a sophisticated communication plan for schoolwide news and announcements, we fall short as a school in a systematic common approach to how we handle classroom-level communication between teachers and parents. In the new year, it is a personal goal of mine to work with my staff to improve in this area. As a parent myself, I look forward to getting an email from my son Liam's first-grade teacher every Friday afternoon with an update on what Liam and his classmates have been working on all week. Despite the continued efforts of my wife Erica and I to extract this information from Liam over dinner each night, the email serves as a way to supplement and enhance our connection with Liam, so we can support his learning at home and play an active role in his education all year long. My task is to try to promote that same experience for the parents in my school. According to a 2015 article by Linda Flanagan of Mind/Shift, the need for an improvement in communication between teachers and parents is great. "In a 2012 study conducted by the National Household Education Surveys Program, 59 percent of parents with children in public school reported having never received a phone call from a teacher," Flanagan writes. What is worse is that of those who had been contacted, only 49 percent felt "very satisfied" with the communication they received. When surveyed, teachers often identify several barriers to communication including a lack of time to dedicate to communication, no clear expectations from the school on what effective communication should look like and/or an inaccurate or outdated data base of parent contact information provided by school. These are all barriers that can be easily overcome by schools over time. "To make outreach more attractive to teachers, schools need to make communication central to the teachers’ work, not just an add-on to their growing list of responsibilities," Flanagan writes. "In practice, that means making time during the school day for teachers to contact parents. As well, teachers need guidance on the content of those messages and how to say them. And what works for one school won't work for all." 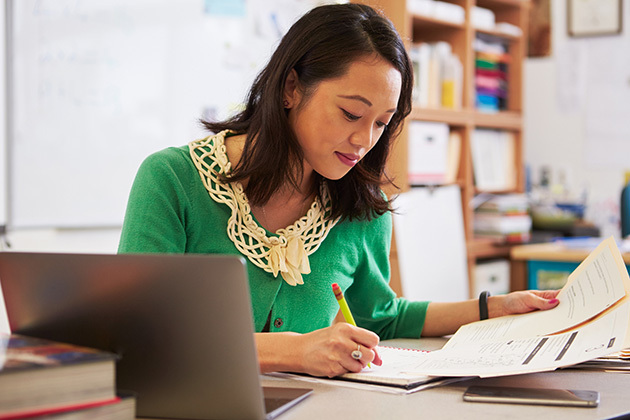 To begin to tackle the job of providing teachers with guidance on the content of their communication, Teach Thought recently posted an article about "10 messages every teacher should send." The article, written by the website ClassTag, stressed that "effective communication with families can be a game-changer for parent involvement, with a positive ripple effect on long-term relationships and community. With these 10 key messages you will have an inventory of ideas at your fingertips that you can start implementing right away and come back to it from time to time." Your child has successes that we can share. Your child has "lightbulb" moments you should know about. Your child went somewhere. Ask them about it. Here are some alternatives to homework. Your child is heard in my classroom. I know home life is can be busy. I'll work with you. Here’s how. Their list is powerful for many reasons and can easily be adapted by teachers to fit any classroom from the early grades through high school. These messages can and should be delivered throughout the year, be it through formal written communication vehicles such as email newsletters, blogs and backpack flyers to phone conversations, text message alerts, social media posts, and of course, face-to-face communication. On their website, ClassTag showcases the strategies of teachers who are highly effective at communication. Readers can explore this site for all sorts of tips, suggestions and pitfalls to avoid. There are strategies to meet every unique classroom situation in every kind of school.